When I looked around me at the end of last quarter, you know what I saw? A bunch of slobs, groupies, and good-for-nothing scum who weren’t planning on doing jack-diddly with their week off. Take a break from academics? Spend time with friends and family? Find a spare second to regain your sanity? Pffffft — weak. I decided to do something valuable with my spring break; and nothing is more valuable than killing one’s fellow man in all-out bloodsport. 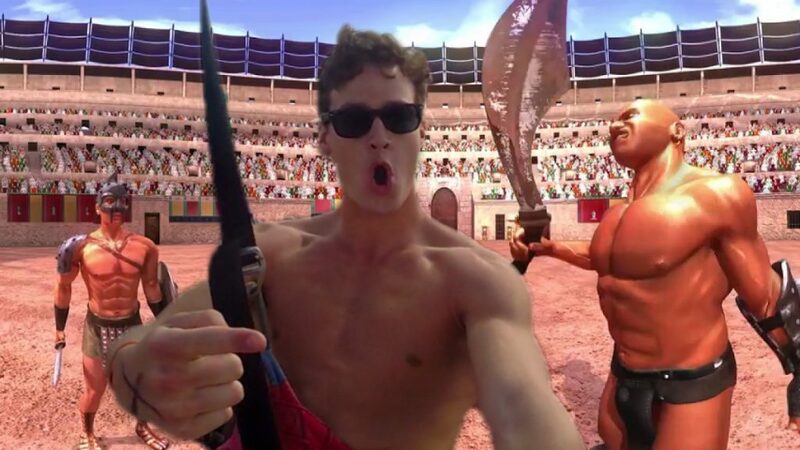 So while the rest of you fuckers were off eating sand in Cabo or guzzling gasoline on your road trip, I studied the blade. Or, actually, the flail. Colosseums full of wealthy, blood-crazed patricians much prefer seeing blunt trauma to clean slices, it turns out. Now, since returning to campus, you might’ve noticed the smell of blood that follows me everywhere, or the way I scan rooms for chokepoints upon walking in. My roommate, certainly, has noticed the sleep-screaming. Well, that’s all because, over the past week, I honed my instincts to lethal precision in a series of life-or-death brawls. And although my NDA prohibits me from disclosing the location or organizational structure of these no-holds-barred melees, I can assure you that everyone who got out alive only did so through extraordinary struggle. But I made it out. I rose to the top. I cracked skulls, I shattered ribcages, I even kicked one guy in his badingadong. So while you were typing away at your little keyboard for your little CS degree, or tossing back Natty after Natty in Cancun, I was discovering the quickest way to eviscerate a human being. Now that’s a marketable skill.